Create a logo with "Fab 4D" on it that I can put on stuff and wear it loud and proud - In Process! Run another half-marathon - In Process! Make a trek up to Redding, CA and visit Bethel Church and do a sozo - Already planned! Go to Tanzania - Already planned! Climb Half Dome - Researching! Finally learn how to play my guitar - In Process! Write a novel - In Process! Adventure more and in more places - On the lookout! Maybe that doesn't look as accomplished as it feels in my head as I am going about making plans and reservations and getting up early to train for the half-marathon and nursing my poor fingers as I build up callouses playing that guitar. But I feel pretty accomplished. This week, I posted my fastest three mile time/pace pretty much in my entire running career. There might have been one faster...but that one was literally years ago. It feels great to be almost 40 and running as fast as I have ever run without injury or being pregnant or post-partum. It feels fabulous to be exact! I am only three weeks (on Sunday) from Race Day and I am so pumped to get out there and run that 13.1 miles. From the beginning, I psyched myself (and the friends I've roped into training with me) out by calling it the "fun edition," but darn it all if it hasn't turned into that and more! Not getting focused on running for time or to "be better" has made it enjoyable, injury-free and yes, made me a better runner. I'm so glad I put it on the list. The guitar playing is coming along nicely. Three of my fingers on my left hand are protesting slightly as I type this post, but it's not nearly as bad as when I first started over two weeks ago. Those fingers were wailing! And maybe it's my focus this time, maybe it's my teacher (and she's awesome), maybe it's the prayers I prayed to allow me to "get it" this time and stick to it, but it feels like it's working! I can play a few songs in simple keys. I can play a song on the guitar!!! I've had my guitar for 13 years and tried off and on to learn and tonight as I played it on my bed, I felt like I was actually...playing it! Amazing! The trip up to Redding has been booked and I have a couple of friends coming along on the journey. I'm so excited to hear from God in a fresh and new way! On that note, I was able to get Kim Walker-Smith and hubby's new album, "Home" for $5 and "Unstoppable Love" has been on a constant loop. Wow! I've also been working on getting our visa for Tanzania processed and we are anxiously awaiting our passport's return with the shiny stamp in it that says we are cleared to go. Support letters have been mailed out. I've been pouring over catalogs dreaming of what we will buy in the way of school supplies to fill our suitcases (it's a bit like Christmas!). And I suppose I added another item to the list. The only problem is that I couldn't find my old copy. So, this last week when I saw that the e-book edition was only $5.98, I made the purchase. And it's awesome! 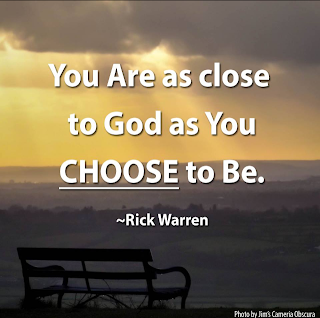 This updated and digital version has access to the "Message of the Day," a video from Rick Warren and even a sermon with notes from him if you so choose. Somehow I had forgotten that it was a "40" Day journey. Which I thought was apt all things considered. And then I realized that I will be in the 40 days when I turn 40 years. Wow. God has a great sense of timing, right? Then I turned the page and was barraged by 40s! I guess I didn't realize that so many significant things in the Bible happened within a 40 day period. And then I started thinking about how the Israelites wandered in the desert for 40 years too. And I am so glad that I made this list and I made this decision to wildly embrace 40 with abandon. I can't imagine doing it any other way! Eighteen (almost 17!) days and counting!